One of the best shows ever at the Towne Crier !! Bill Evans got snowed in or it would have been even more amazing ! 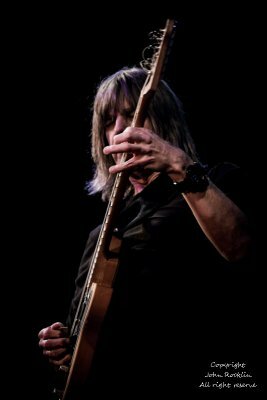 Mike Stern Trio, (Richie Morales on drums and Teymur Phell on bass) , 01.23.16 @ The Towne Crier Cafe, Beacon New York, . Credit: John Rocklin for Towne Crier. Photograph Copyright John Rocklin.